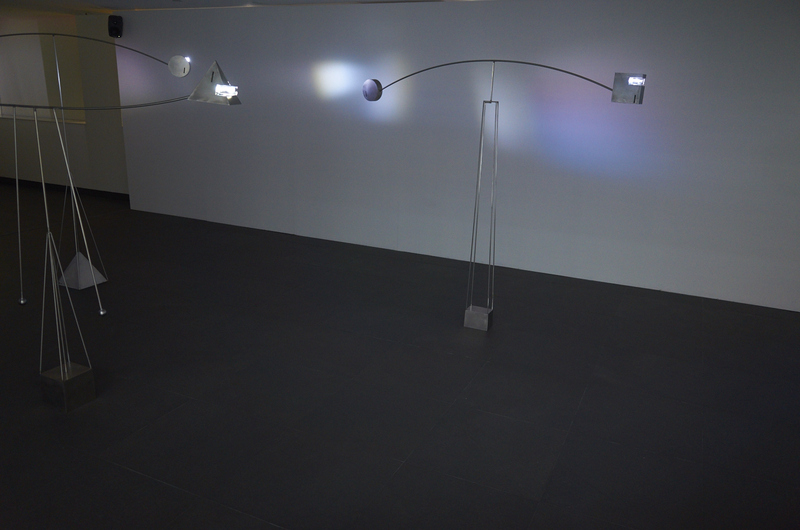 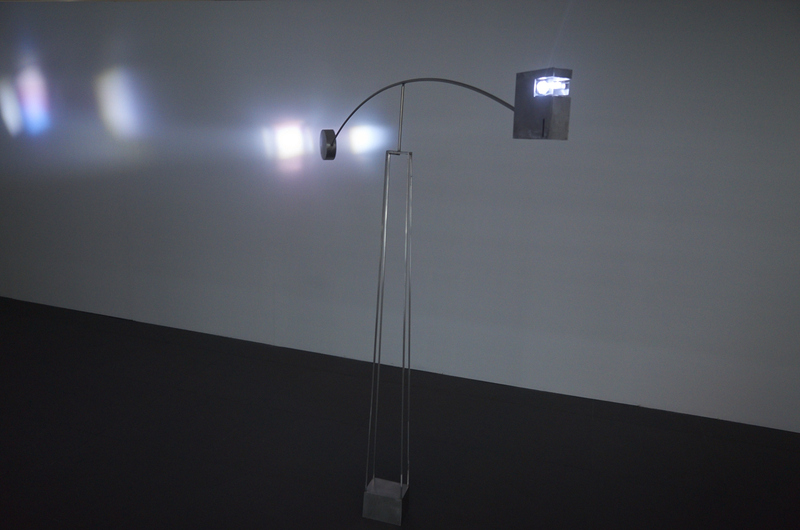 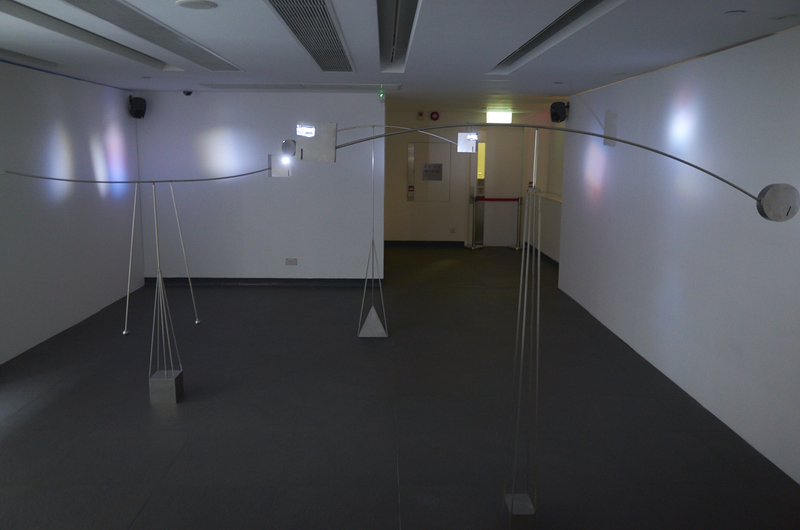 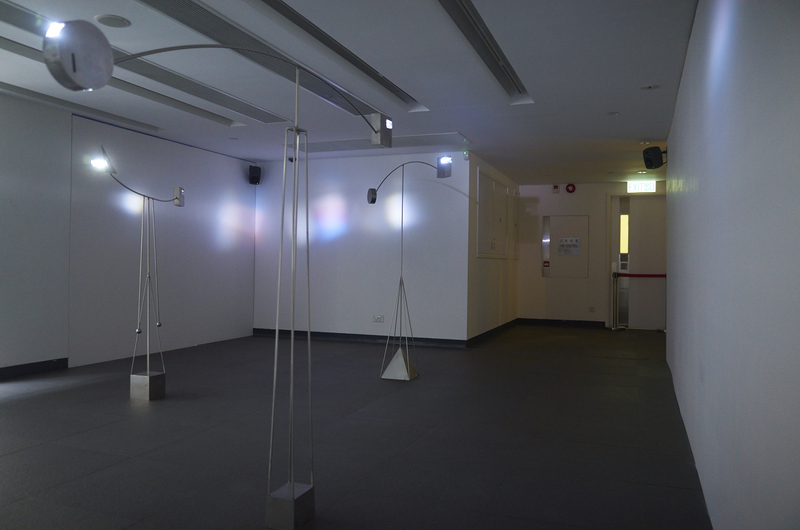 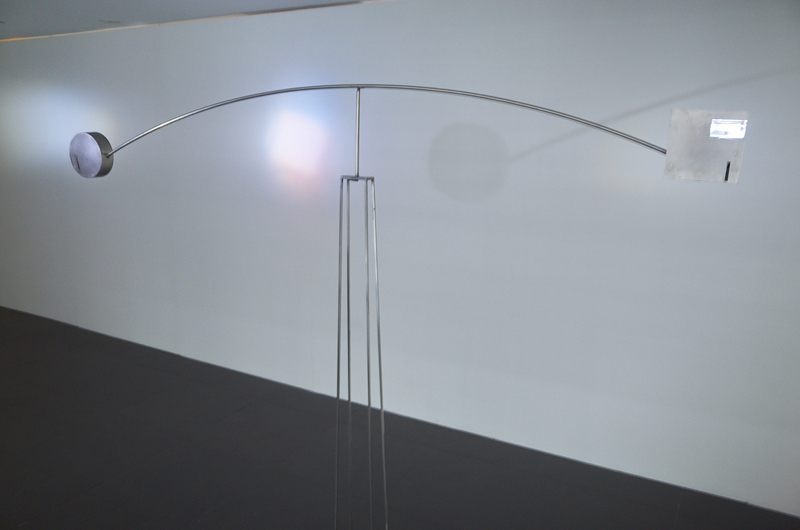 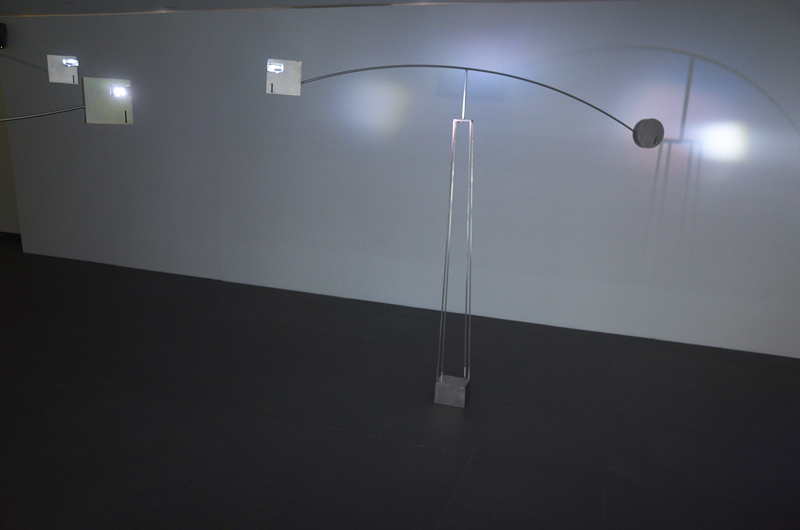 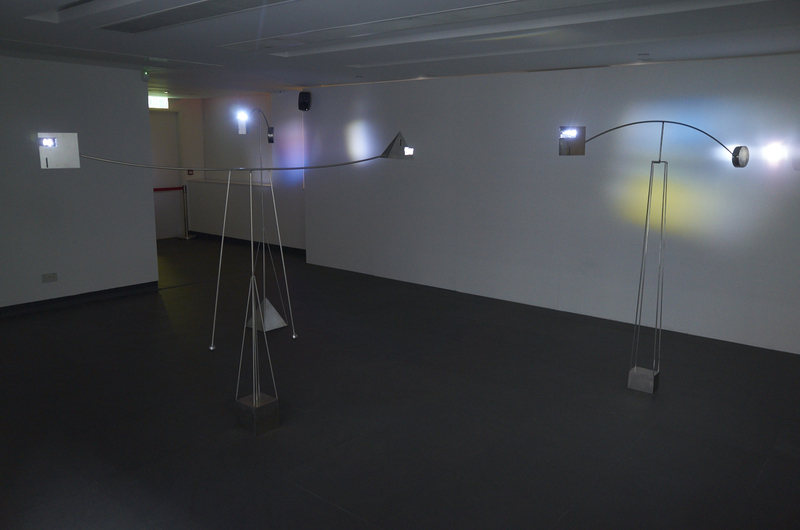 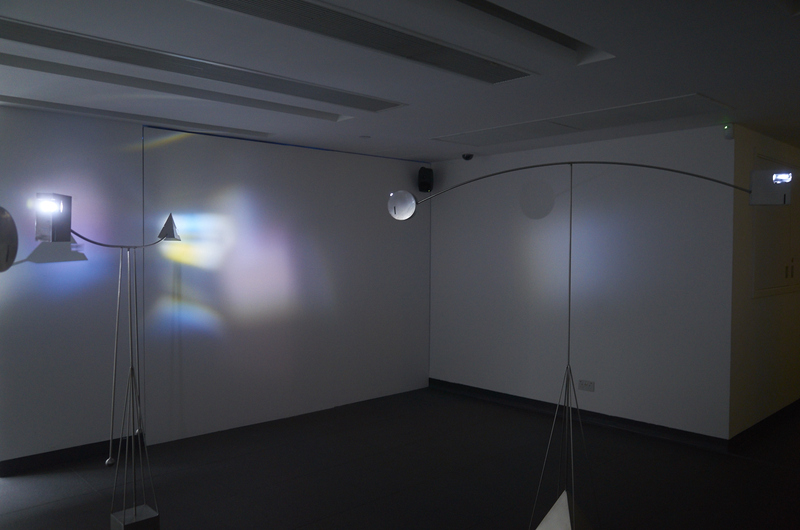 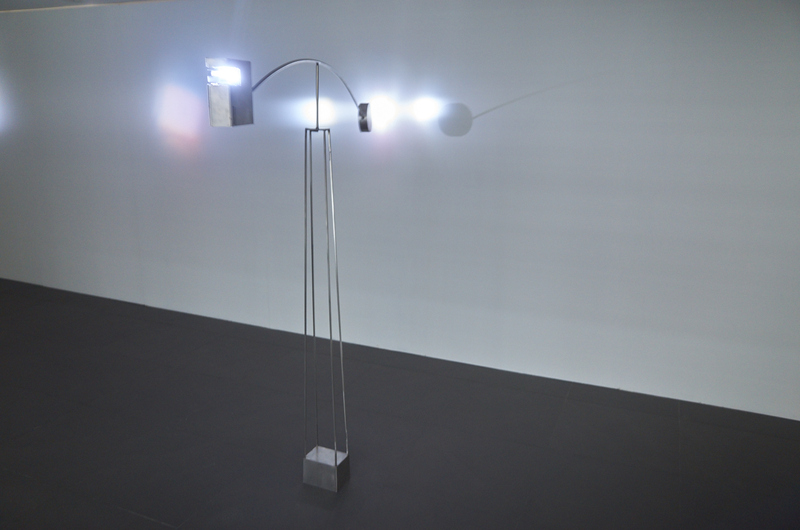 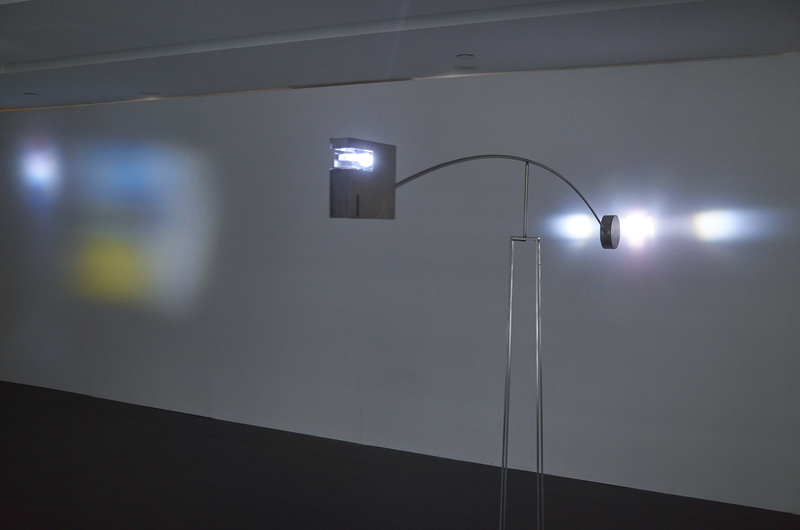 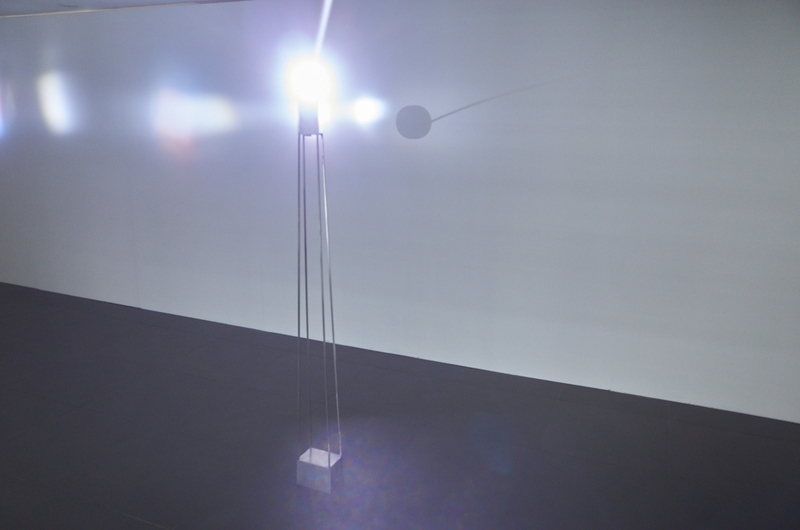 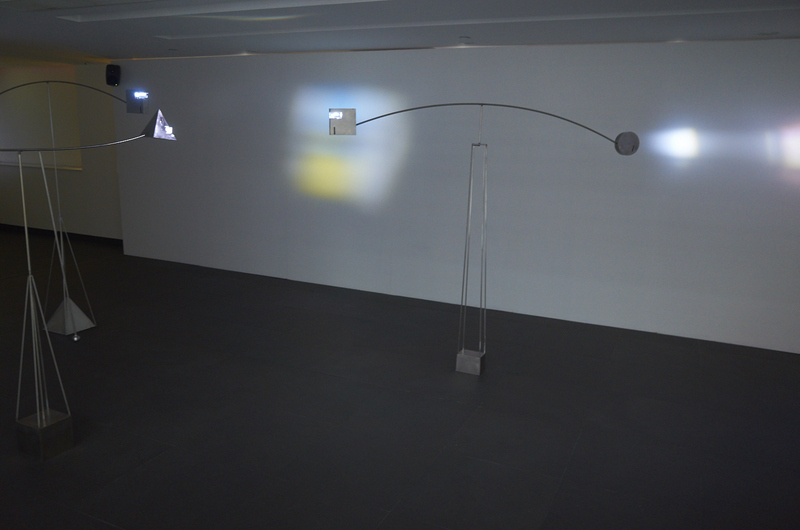 Installation [ three kinetic scuplures, light, sound], 2015. 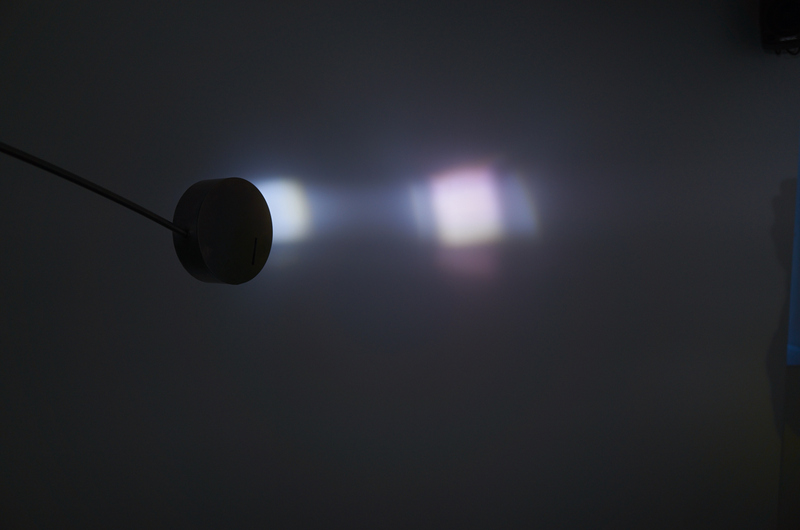 “But what am I going to see? 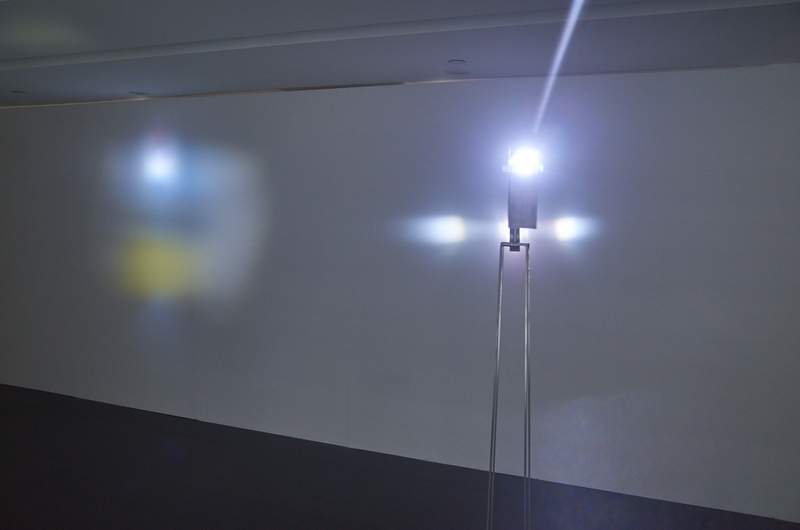 A landscape made of steel mobile structures projecting light halos from 2000, 3500 to 5000 kelvin. 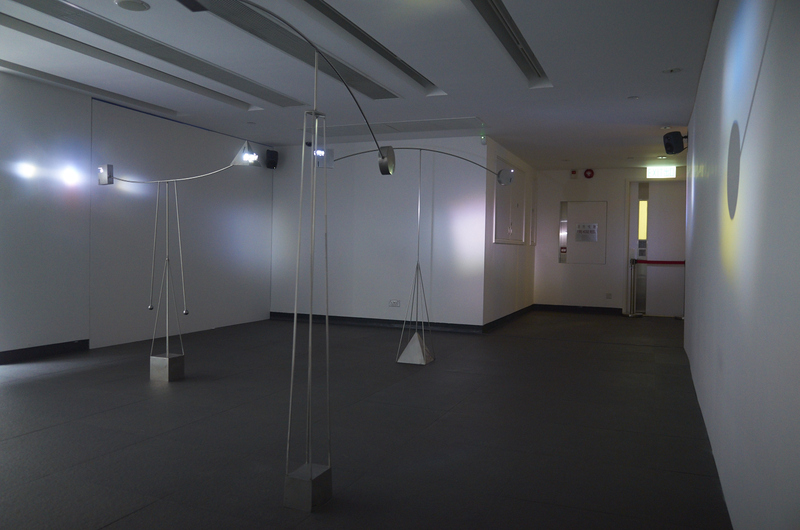 Sounds from this atmosphere fills in the room composed by recordings of the magnetosphere and northern winds blowing interacting with the ruins from the Spitsbergen. 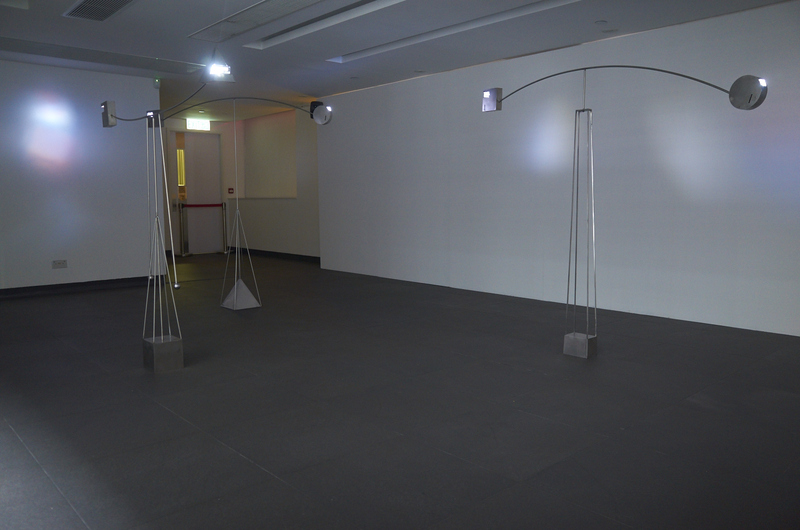 The two movements of the sound composition Before Landing and After Departing mark two spatio-temporalities with sounds from the metallic ruins on the ground and sounds from the electromagnetic field of planet earth. 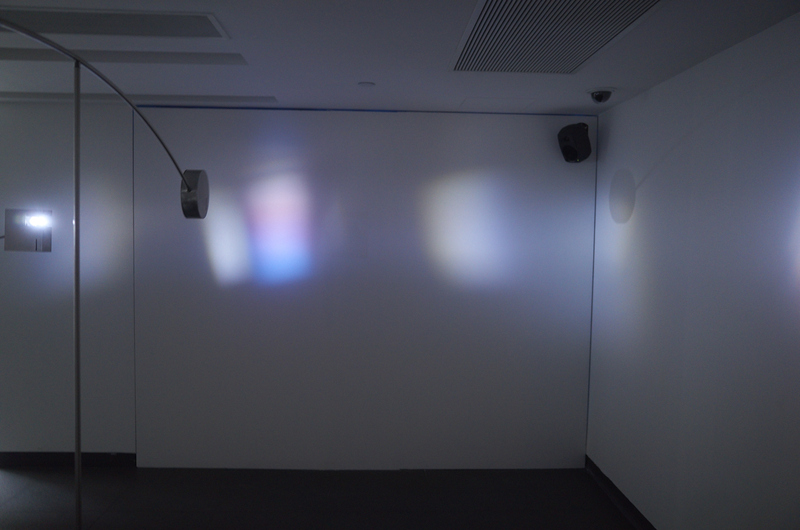 Parhelia is a new land, an in-between territory, between land and space, arrival and departure, documentation and fiction, an unknown no man’s land and a known territory, a possibility to linger.